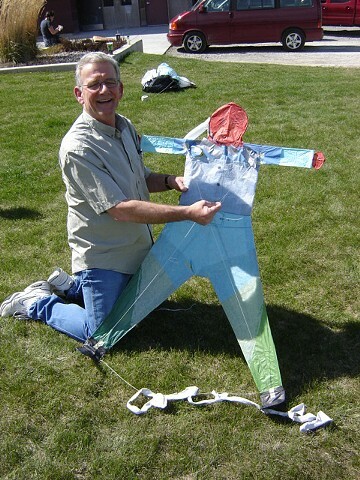 The goal of this assignment was to work from a successful commercial design (store-bought kite), but to modify that design in some way to make it unique. Each student built their kite from 'scratch;' they were not allowed to scavenge any parts from an existing kite. Students were graded both on functionality and style.....luckily we had wind on the last day of class.